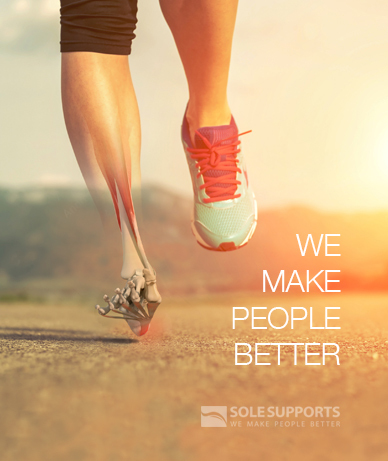 An orthotic is a supportive device which is placed inside footwear, to change the mechanical function of the foot. It works dynamically during weight-bearing activities like walking, running and standing. Ideally, it should provide full, custom and corrected arch contact so that the foot works in a mechanically correct way. The foot must act as a "functional unit". One's foot works best in its "neutral position". When your foot is in the neutral position, all the bones of your feet are aligned in their best weight bearing position and your foot is performing at its best. 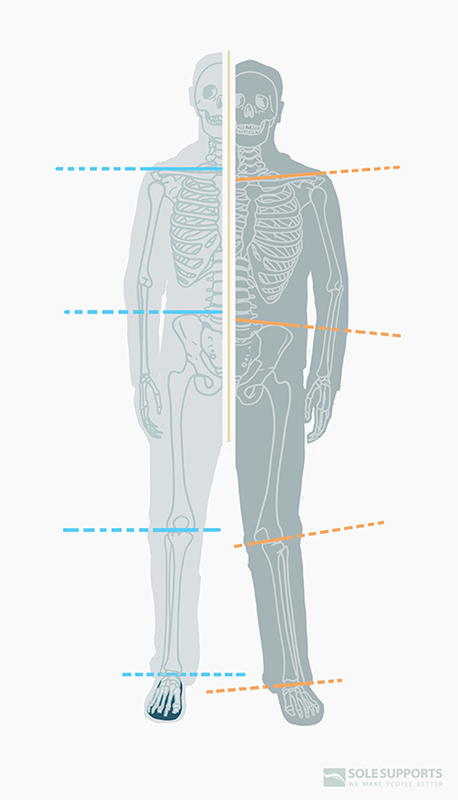 Everyone has approximately 30 bones in each leg - 26 of which are in the foot. You depend on these bones to move forward when you walk. With each step you take, more than 208 muscles are used which exert their effect on the feet, knees, hips and lower back. 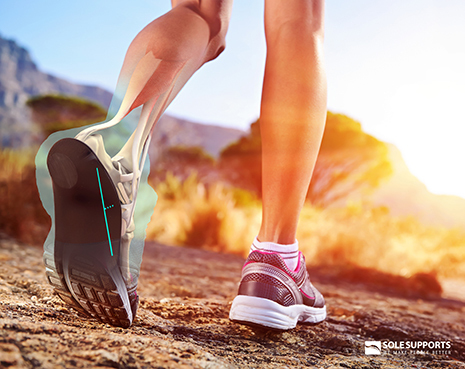 Since most foot problems are the result of poor foot function - a misalignment between the bones and muscles of the feet. It is not surprising that many knee, hip, and back problems are the result of poorly functioning feet. The misalignment of bones and muscles of the feet also cause many foot problems such as bunions, hammertoes, heel spurs, corns, calluses, and excessive pronation. A doctor will make a cast or impressions of your feet in their neutral position. These impressions will be sent to a professional orthotics lab "Sole Supports" where technicians will fabricate your orthotics according to specific instructions. Call your insurance company and ask if they cover for custom orthotics, give them code L3000.